The photographer, as the reader, is a privileged person. He listens to, he lives, he witnesses thousands of stories. He is there in the most epic moments, when hundreds of Renzo get married with their Lucia, and he’s also there to witness the daily, priceless beauty of family life. 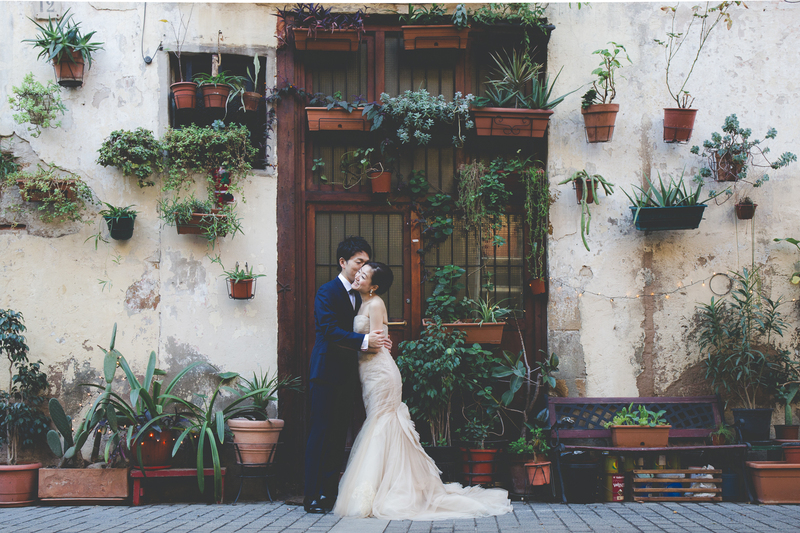 Meeting lovely couples from all over the world during their wedding or honeymoon is one of the things I enjoy the most of being a wedding photographer in Barcelona. While talking to Mai and Keigo I felt like I was flying to Japan and sharing what I love the most about Barcelona at the same time. I love seeing how people coming from other places feel in front of the monuments and the history of my city. These pictures talk about a whole day spent together to celebrate this adorable couple and their new life together.